The prime minister has warned Tory MPs they will undermine her negotiating position with the EU if they rebel on key Brexit legislation. Ahead of the EU Withdrawal Bill's return to the House of Commons on Tuesday, Theresa May warned Conservative backbenchers against allowing House of Lords amendments to the legislation to stand.Pro-Remain Tories are considering whether to vote in favour of peers' changes to the bill, in order to force the changes on the government.They are most likely to back the House of Lords' demand for ministers to stay open to negotiating a customs union with the EU, and on a call for a beefed-up "meaningful vote" for parliament on the final Brexit deal.Pro-EU MPs want a customs union in order to avoid friction in trade, but Brexiteers fear it would imperil the UK's ability to sign independent trade deals with non-EU countries.Addressing a meeting of the backbench 1922 committee of Tory MPs in parliament on Monday night, Theresa May said: "We must think about the message parliament will send to the EU this week. "I am trying to negotiate the best deal for Britain. I am confident I can get a deal that allows us to strike our own trade deals while having a border with the EU which is as frictionless as possible. "But if the Lords amendments are allowed to stand, that negotiating position will be undermined." The prime minister also called on her party to display unity this week in order to deliver on the Brexit vote.She added: "The purpose of the EU Withdrawal Bill is simple - it is putting EU legislation into law to ensure a smooth and orderly transition as we leave. "But the message we send to the country through our votes this week is important. We must be clear that we are united as a party in our determination to deliver on the decision made by the British people. "They want us to deliver on Brexit and build a brighter future for Britain as we take back control of our money, our laws and our borders." 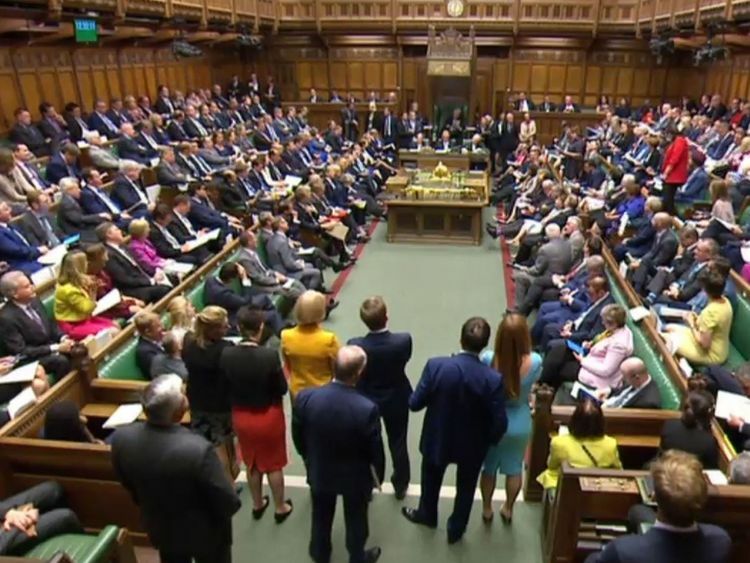 Leading Brexiteers and Remainers will table a compromise alteration to the peers' customs union amendment, which could stave off a defeat for ministers. Backed by leading Brexiteers Sir Bill Cash and Jacob Rees-Mogg, as well as leading Remainers Nicky Morgan and Stephen Hammond, the amendment calls on the government to make a statement on its efforts to negotiate a "customs arrangement" with the EU.Labour, who back a post-Brexit customs union with the EU, immediately branded the "bogus" compromise amendment "yet another fudge designed to patch over the deep divisions at the heart of the Conservative Party".Speaking after the meeting, Brexit minister Steve Baker said the government would consider amendments put forward by backbenchers. "The government will look very carefully at what they have tabled and we will take a decision on whether or not we can support it in the usual way," he said. "Our policy is to leave the customs union so that we can conduct our own independent trade policy but it would be appropriate that we have an arrangement in place with the EU." The 1922 meeting is understood to have seen the prime minister receive assurances from Tory backbenchers that she had their backing in reminding warring cabinet ministers of their collective responsibility and in telling them to end their briefing wars.Brexit-supporting MPs are also said to have made appeals for unity, which was repeated by Solicitor General Robert Buckland once the gathering ended.He said: "There's ongoing work happening and I think it's emblematic, actually, of a real sense of common purpose in the party that we all hang together or we all hang separately. "It's more than just about party unity, this is about the national interest. "Labour MP Alex Sobel, a supporter of the pro-Remain Best for Britain campaign, attacked Mr Buckland's analogy as "just plain nasty". 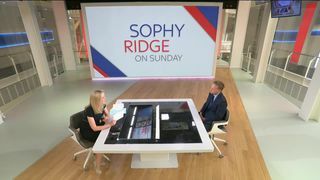 Will more ministers follow Phillip Lee and resign over direction of Brexit? He said: "It's an oddly dark comment from a minister who is Solicitor General, he should be ashamed. "Mr Sobel characterised the government's manoeuvrings as a "sham to get through the next 48 hours".